communities on the San Juan River floodplain. Also to protect the redlisted tooth-leaved monkey-flower, endemic to British Columbia. km hike south from Pacific Marine Road. Physical: The San Juan River splits into several distributaries that drain into Port San Juan. few clumps of young forests on a ridge. 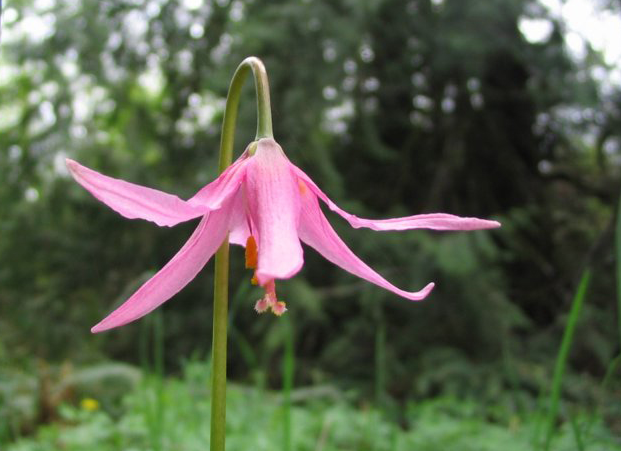 Rare species on this site include: angled bitter-cress, Smith’s fairybells, tooth-leaved monkey-flower, paintbrush owlclover, nodding semaphoregrass and pink fawn lilies. Black cottonwood – red alder- salmonberry- piggy-back plant, and red alderstink currant – salmonberry- lady fern communities can be found on young alluvial sand and silt deposits that are subject to frequent flooding. A Sitka spruce – red alder – fern community has been observed in a small area only on older alluvial sand and gravel deposits that rarely flood. On the steep terrain, hallow till and colluvium cover schist bedrock and substrate a western hemlock –deer fern – community. American Black Bears are present in the area.